Everlast® Overnight Floor is a variation of Everlast® Floor that uses an alternate unique formula for the epoxy resins, designed to be a faster curing system. Everlast® Overnight Floor shares the same color selections as Everlast® Floor, however the resin is darker so the color will be darker. Everlast® Overnight (Fast Cure) Floor is the perfect epoxy flooring solution for a facility when minimal downtime is available. 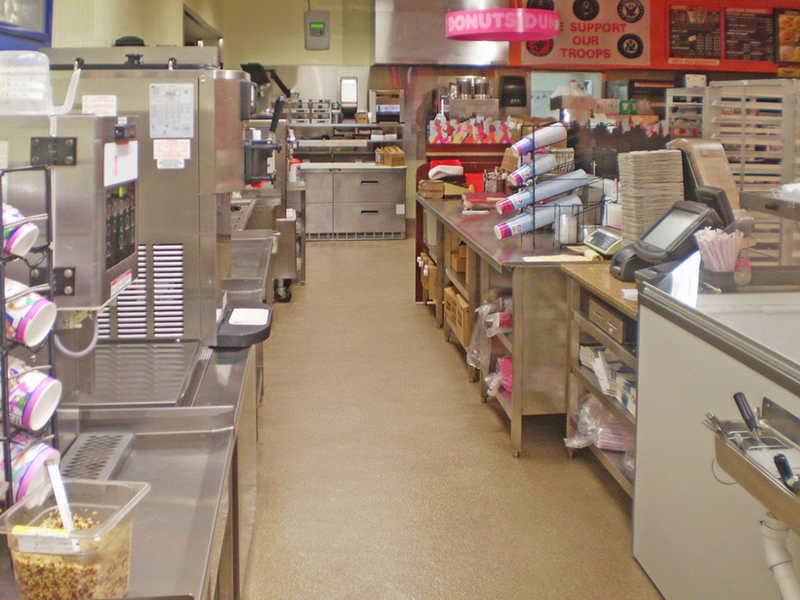 It is a one-step epoxy flooring that is ready for foot traffic in only 6 hours. Next, a glaze coat is applied to the epoxy floor, which will be ready for foot traffic in another 6 hours. If your scenario only allows for a small window of downtime, our fast cure epoxy flooring can be installed after hours, and be ready to walk on the next morning when your facility opens. 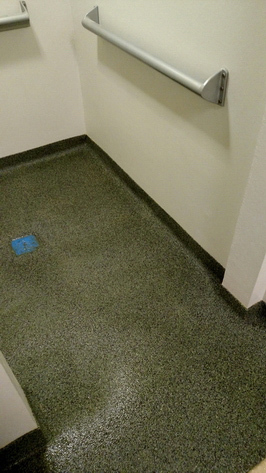 The unglazed floor can be used all day with no repercussions or degradation in quality. That night, the floor can be cleaned and dried, and then the glaze coat can be applied. The next morning when you’re ready for business, don’t hesitate to open the doors and let your normal day begin! Don't be fooled into using a resinous flooring that cures in two hours or less because this is not enough time for the resins to soak into the substrate and form a lasting bond. Epoxies and polyaspartic that cure this fast are also prone to peeling up later. Ours cures in 5 hours so you get the benefit of being able to get a floor installed overnight, but also there is ample time for the Everlast Epoxy Fast Cure resin to penetrate the surface and form a long-lasting bond. Also, beware of seamless floors that don't require a glaze coat, as they lack the extra durability and they stain easily. Everlast® Overnight (Fast Cure) Floor does not compromise durability and cleanability for speed. Everlast® Epoxy Overnight Floor's resin-rich formula allows the floor to seep into the concrete or wood substrate while curing, so it becomes part of the sub-floor. It forms an incredibly strong bond that will be non-porous, waterproof, and antimicrobial. Your Everlast Epoxy floor will not crack and peel apart like epoxy floor paints and quartz broadcast floors commonly do, because it is not as hard and brittle as most epoxy floors are. Our flooring is pourable and thick with only high quality resins that have not been compromised by fillers or too much aggregate. 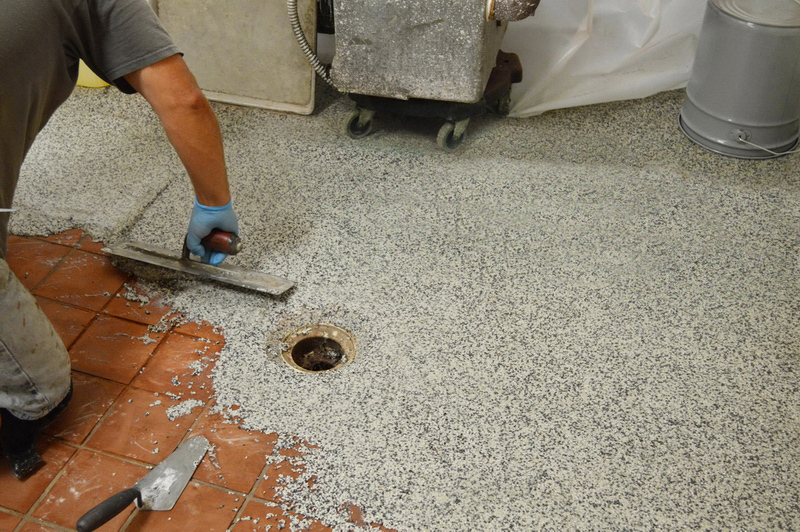 Other epoxy floors break apart because they are typically only 60 mils thick. Our Everlast Epoxy Floors are 160 mils thick, and you will reap the benefits for many years to come! Your customers will have an excellent first impression of your facility. It will have a clean, fresh, and modern appearance that will be sanitary and easy to clean. Our Everlast® Overnight (Fast Cure) Floor is trowelable, and seamless. There are no cracks or crevasses for germs or dirt to accumulate in! Everlast® Overnight (Fast Cure) Floor is available in all the choice color varieties as our regular Everlast® Floor.